Does Something in Your Life Need to Change? Are You in Crisis? Or in Need of Inspiration and Structure to Lead You Towards Your Dream? Do You Feel Lost, Despairing or Simply Know its Time to Move Forward With Purpose and Strength? Here you will gain access to information which may help you to make the changes you would like to make. Under the headings of Counselling, Transformational Coaching, and Mentoring and Supervision, you will find specialist information, FAQ’s and fees. Free Informational Downloads will introduce you to simple change strategies and to my work, and information on Products and Workshops can be found. Several Testimonials will give you an insight into the experiences others have had. I will be delighted to hear from you and will respond promptly to your enquiries. THRIVE! EVENTS Exeter and Bath in January 2013 Watch This Space!! Relationship problems, dealing with depression or divorce, then Hira can help you. 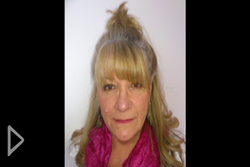 Hira Pascoe, provides counselling services for Penzance, Truro, Cornwall also life coaching and relationship coaching helping with family breakdown and dealing with stress and depression.